On Oct. 22, IGDC got a chance to explore the new, highly Instagrammable pop-up space Future of Sports. The stylish pop-up art installation on H St. was designed and imagined by Made in the District’s founder Nicole Pinedo. In the two-story interactive exhibition celebrating art and sports, you can lose yourself in 10,000 square feet of games that have been re-imagined in the most fashionable ways. There’s a hologram basketball court, a pink neon football arcade room, a volleyball court made out of salt (trust us! ), a very cool yellow and black boxing room with punching bags designed by Gabriel D’Eli, tennis, soccer, cycling, etc. It’s all a delight and so much fun. 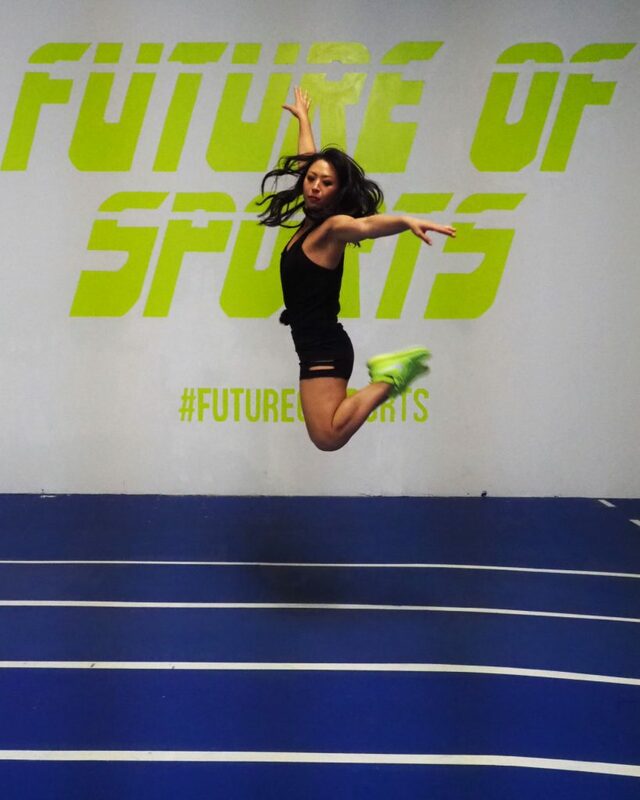 Future of Sports closes on Nov. 30. Check out some of our favorite images from the event below. Anyone know how to turn this thing on?